Shopping for Wonder Woman Travel Mugs? 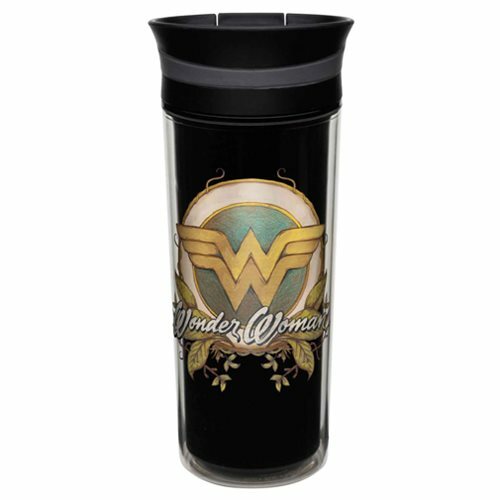 Take your warm drink to go with the Wonder Woman 16 oz. Insulated Travel Mug! This travel mug features double-wall insulation and comes with a slide lid for easy opening. Take Wonder Woman everywhere you go with the Wonder Woman 16 oz. Insulated Travel Mug. Mug is dishwasher-safe and BPA free. Do not microwave. Ages 13 and up.